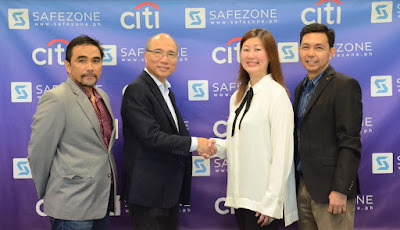 In collaboration with Voyager Innovations, Citi Philippines unveils its Citi Mobile App which gives their customers mobile banking access without charges on mobile data. This is offered via the free mobile internet platform freenet, which is also used by other entities like PayMaya and Lendr. Available for Smart, Sun, and Talk N Text subscribers, customers can view their account details, conduct transactions and find the nearest Citibank ATM through their smart device. With over 70 partner sites, freenet aims to be the foremost local mobile community in terms of unique page views. It also allows its users to be digital participants in trending events such as the 2016 Presidential elections, Gilas Pilipinas games at the FIBA World Championship, and the launch of Pokemon GO in the Philippines. Freenet (formerly known as SafeZone) also gives social media feeds from other partners in the shopping, lifestyle, news, and food industries. The freenet app is available for free download at Google Play and Apple App Store.